Located above Lake Windermere, The Belsfield Hotel is a gorgeous Victorian hotel combining the old and new with stunning architecture. Delivering mesmerising panoramic views over an area of natural outstanding beauty. An occasion so special deserves a location that reflects its beauty and enormity, which is exactly what Laura Ashley The Belsfield provides. The Belsfield Hotel was built in 1845 as a private home for Baroness Von Sternberg. The house was then acquired by the steel magnate Henry Schneider in 1869 and converted The Belsfield to a hotel in 1892. The hotel was extended shortly before the First World War to provide additional bedrooms. Following a refurbishment in 2014, The Belsfield Hotel is immaculately designed and kitted out with luxury Laura Ashley interior. Guests may choose to sip champagne in the glowing Lounge Bar, which takes pride of place in the centre of the hotel, enjoy a quiet drink in our Drawing Room and Library or admire the incredible sunset from the Garden Terrace, before retiring to one of 62 luxurious Laura Ashley bedrooms. 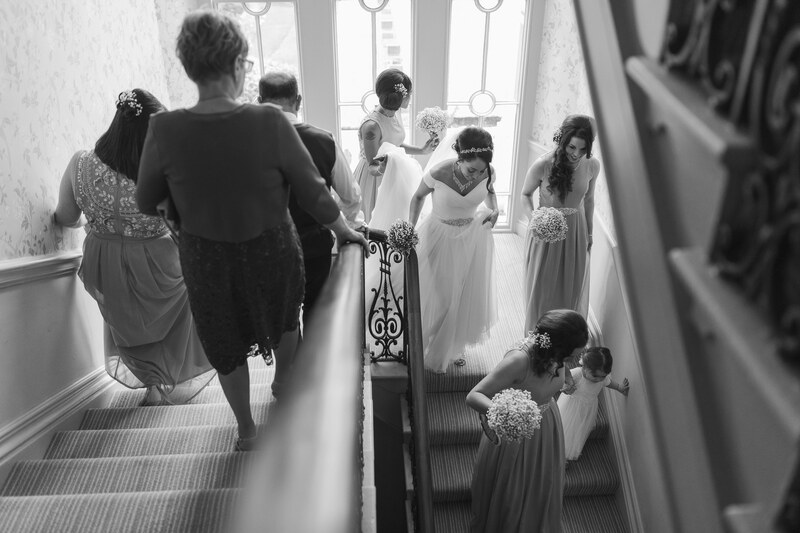 “We offer a range of desirable packages, catering for up to 120 guests and designed to make your life as stress-free as possible, leaving you time to spend with those you love and to truly enjoy every last moment of your wedding day. Champagne and canapés out on the terrace gives you time for those all-important photos with loved ones, in extraordinary surroundings. Following a sumptuous wedding breakfast that won’t fail to impress, your first dance will begin the evening in our stylish Windermere Suite with a private bar. 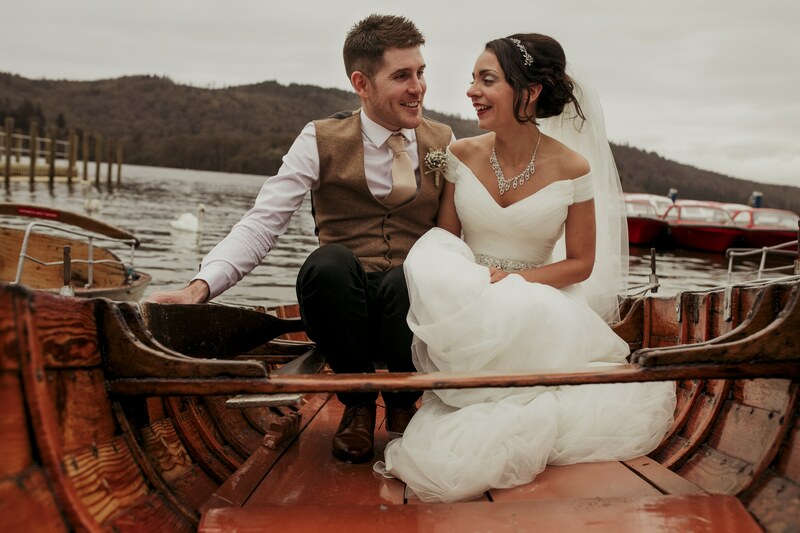 Emma & Craig both chose to get married in the lake district as they both love it here and spent a lot of their time up there when we were younger.